President Ilham Aliyev recalled his previous meetings with Eskinazi. The head of state noted the importance of five documents to be signed today between Azerbaijan Airlines CJSC and Thales International company. 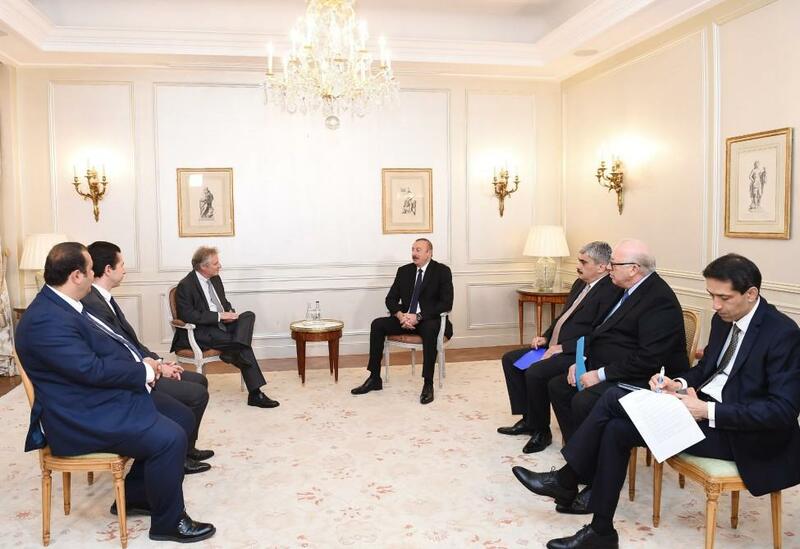 The head of state noted the interest of Azerbaijan in expanding cooperation with Thales International company, stressing that the company has earned trust in Azerbaijan. Raphael Eskinazi highly appreciated the cooperation between Azerbaijan and Thales International company, noting that efforts to expand these relations will continue. He also announced the consideration of new directions for the expansion of cooperation. The long-term successful cooperation between Azerbaijan and Thales International company, as well as good results achieved in the implementation of various projects were noted with satisfaction during the meeting.